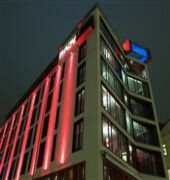 Hotel Avalon is perfectly located in the very city centre of Gothenburg, at the beginning of the main boulevard Avenyn. Within walking distance you will find a variety of restaurants, as well as the main shopping district just around the corner of the hotel. Hotel Avalon's role is to ensure that your entire visit is memorable. We are a Feng Shui certified hotel where furnishing, lighting, fragrance and sounds play a large role for our guests well being.